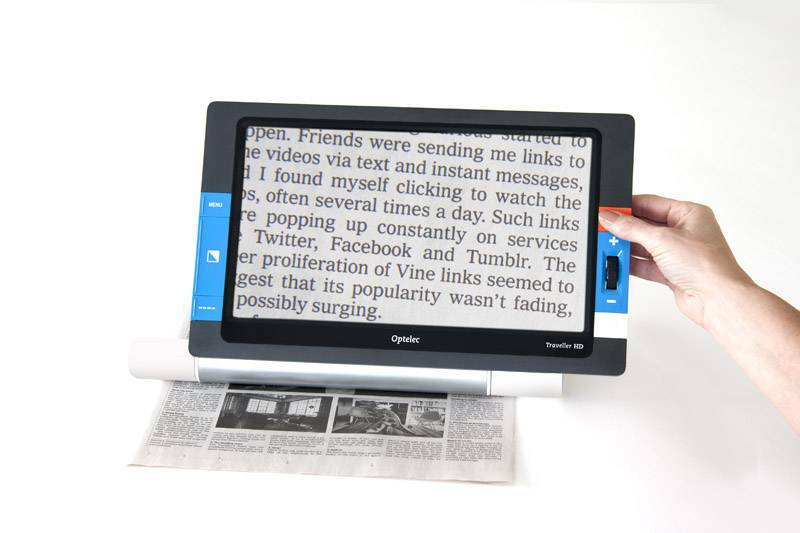 A video magnifier for low vision people must take the accessibility into account. 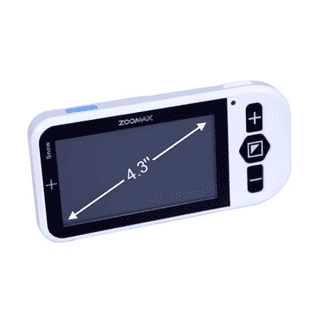 Snow 4.3 great affordable low vision portable from AdaptiVision. The compact design of 4.3″ Snow is suitable for people to grab and operate by one hand with another hand free to do other things. 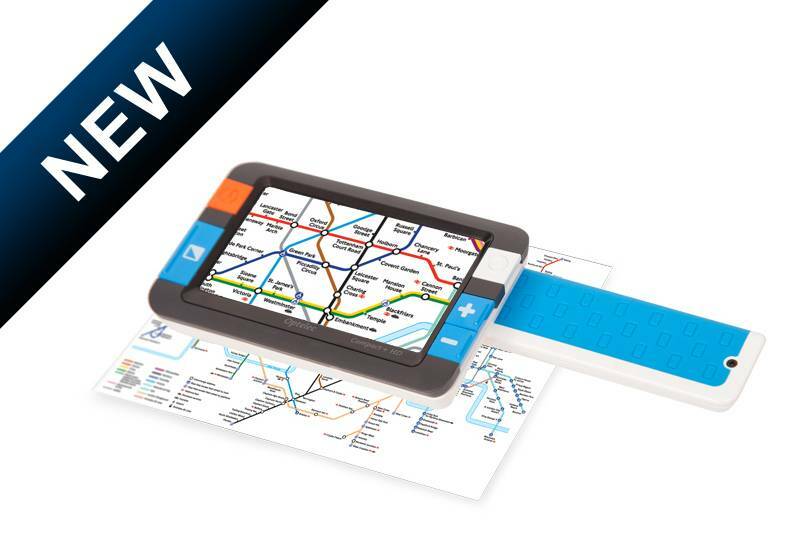 You can put in your pocket or bag and take it to the office, supermarket, library, anywhere you want to go: it is as light as your mobile phone. No one can replace your writing. 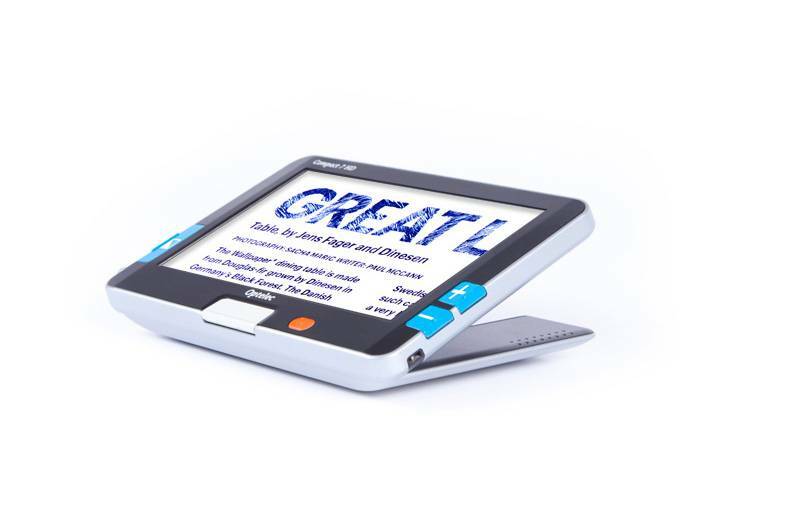 With the foldable writing stand, you can write diary, sign the contract, bill or other documents. Writing stand can be folded when it’s not needed.